Caine McKannon is all about rules. As the Raven Riders Sergeant-at-Arms, he prizes loyalty to his brothers and protection of his club. As a man, he takes pleasure wherever he can get it but allows no one close-because distance is the only way to ensure people can't hurt you. And he's had enough pain for a lifetime. Kids and school are kindergarten teacher Emma Kerry's whole life, so she's stunned to realize she has an enemy-and even more surprised to find a protector in the intimidating man who saved her. Tall, dark, and tattooed, Caine is unlike any man Emma's ever known, and she's as uncertain of him as she is attracted. As the danger escalates, Caine is in her house more and more - until one night of passion lands him in her bed. Caine is the Sergeant at Arms of the Raven Riders so we've seen him in the background in the previous stories but as he tends to keep himself at a distance from the others we don't know a great deal about him. He's a loyal member of the crew who will do whatever is needed to keep his brothers safe but he's still a loner who avoids club functions where possible. 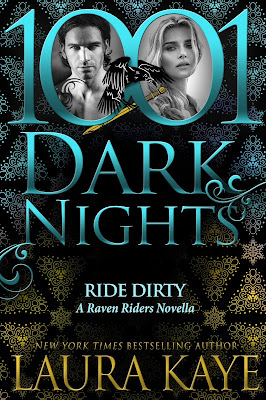 Emma is a kindergarten teacher who has never had any dealings with the Raven Riders before but when Caine rescues her from an attempted mugging he goes out of his way to make sure she is safe and she is drawn to his protective streak. When further instances occur around her home and place of work it quickly becomes clear that the original attack may have been more than a random mugging Caine is determined to get to the bottom of things before Emma is seriously hurt. I've really enjoyed all of the stories in this world so I'll always jump at any chance to spend time with the Raven Riders. This story is a little different as none of it is set at the clubhouse but because Caine is a bit of a loner the setting worked well and we do still get to see a few familiar characters. Caine's backstory is pretty heartbreaking and it's easy to understand why he's afraid to let people get close to him but Emma is the perfect person to break through his barriers. Her life hasn't been anywhere near as hard as Caine's but she's had her own difficulties and her experiences working with traumatised children let her see his attempts to push her away as the self defence mechanisms they are. These two are absolutely adorable together and their relationship was one of the sweetest in the series, don't get me wrong they also had fantastic chemistry and they both have quite a dirty streak but we also got some really cute moments with them just spending time together talking. 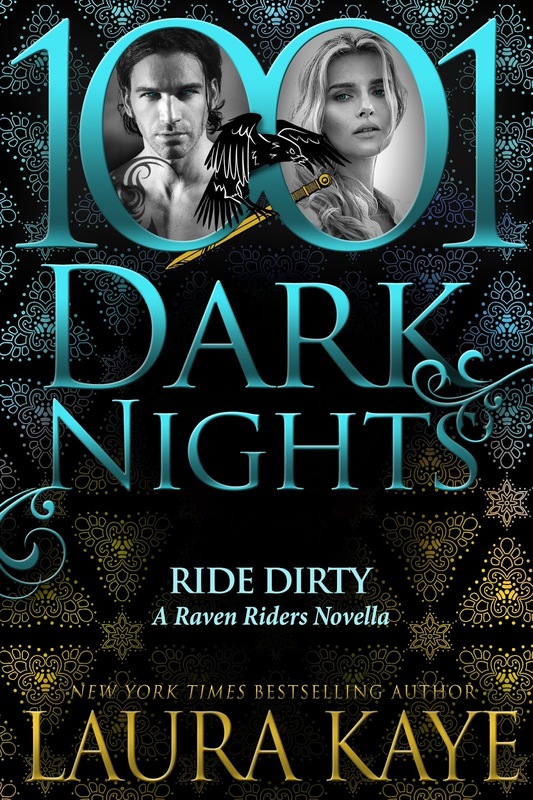 I believe that Ride Dirty is the final book in the Raven Riders series which I have to admit is a little disappointing. Not because we've been left with loose ends but because I enjoy these characters and there are still more of the riders that I'd have liked a chance to get to know better. I'm hoping Laura Kaye will change her mind and decide to revisit this group in the future but I'm always excited to see what other stories she comes up with so she definitely remains on my auto-buy list.